5000mAh Eton Thundergod, more details exposed! 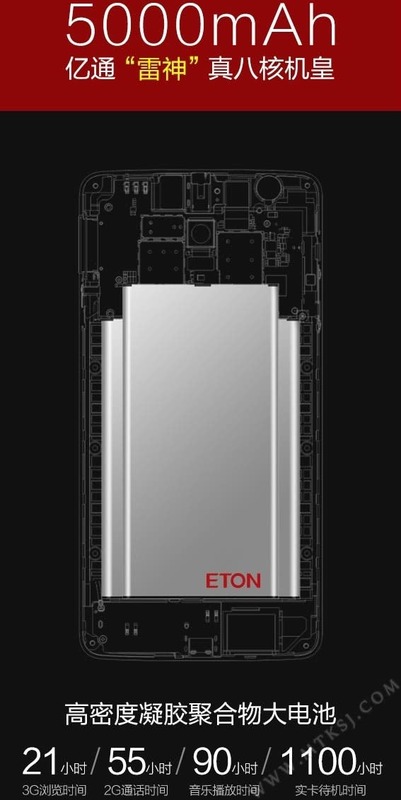 Remember a few days ago when we broke details of the Eton Thundergod with octacore processor and huge 5000mAh battery capacity? Well here are more details to get your mouth watering. 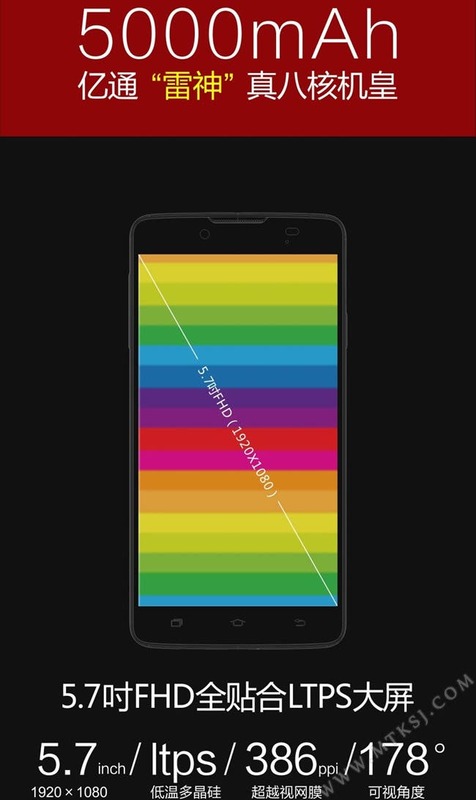 Another larger capacity phone to rival the Lenovo P780, the Eton Raytheon boasts a 5000mAh battery capacity which appears to be made up of dual batteries.